Things to do in Madrid with Culturiplan®: Places to visit in Madrid, BEST OFFERS IN LODGING IN MADRID, ACTIVITIES AND GUIDED TOURS, history, gastronomy, museums, cultural events. There is an endless number of things to do in Madrid, we have selected for you the most interesting in terms of quality, price and interest. All of them with the GetYourGuide Certified Guarantee. It is often said that “from Madrid to Heaven” and those who are passionate about culture in all its expressions, you can say that Madrid is heaven itself. Madrid’s cultural offer is huge, its art galleries are a reference worldwide, its archaeological museum (MAN), one of the most important in the world and its monuments, neighborhoods and streets retain the grandeur of what was once the capital of the Spanish Empire. Madrid is a fascinating city, its immense cultural heritage is joined by new constructions that make up a spectacular landscape of past, present and future. Click on each link of the sites to see in Madrid to expand information. The offer of museums in Madrid is impressive, here we leave you a list of the main museums you can visit in Madrid. In red the places to see in Madrid. In blue the recommended museums in Madrid. Starters Madrid stew, chickpea stew, garlic soup, chickpeas stewed in Madrid, melon with ham and braised lentils. Meats Callos a la madrileña, braised bull’s tail, stewed Madrid beef, chicken in pepitoria, pickled chicken, pickled partridge kidneys to sherry and round veal. Fish Madrilenian sea bream , bonito with tomatoes, pavia soldiers, Madrid cod, lemon sea bream, Madrilenian sole, mussels in the pan and battered squids. Desserts Madrid-style French toast, fried milk, bartolillos, fritters with vanilla custard tart nuts, sweet potato pie and pineapple with strawberry. Wines with denomination of origin of Madrid of the zones of Arganda, Navalcarnero and San Martín de Valdeiglesias. Other products Typical Madrid crafts as well as typical candies from Madrid. 865 Muhammed I, son of Abderramán II, constructs a fortress and fortifies the village Mayrit, that happens to be a walled town. In the same place where today is the Royal Palace of the Bourbons. 1083 Rey Alfonso VI of Castile conquered Madrid in the campaign of Toledo. 1346 Alfonso XI grants a certificate that is considered as the beginning of his Town Hall. 1433 Madrid is recognized as a city with direct representation in Cortes. 1465 Enrique IV of Castile gives to Madrid the title of “Very Noble and Very Loyal” by the fidelity towards his person. 1521 Madrid surrenders to the troops of Carlos I during the war of the communities. 1561 Philip II installed the Court in a stable manner in Madrid. Thus becoming the capital of a vast empire. 1616 Miguel de Cervantes is deceased in his house of Madrid. 1700 During the war of succession, Madrid lent its support from the beginning to Felipe de Anjou as Felipe V.
1808 On May 2 the people of Madrid rise against the French army that has invaded Spain. 1814 King Fernando VII grants Madrid the title of “Very Heroic” for its behavior in the Dos de Mayo. 1851 Work begins on the Isabel II Canal and of the infrastructure for brought of waters to Madrid from the Lozoya River. 1931 Proclamation of the Second Republic in the Puerta del Sol, and inauguration of the Barajas Airport. 1939 Madrid fell to Franco’s troops during the Spanish Civil War, being one of the last foci of republican resistance that remained. Population 3 265 038 habitants INE 2011. Extension 605,77 km². Madrid is located in the center of the Iberian Peninsula, a few kilometers north of the Cerro de los Ángeles, the geographical center of the peninsula. It has an average height above sea level of 667 m, is located a few kilometers from the Sierra de Guadarrama. Economy Services, commerce and industry. Clime Madrid has a continental Mediterranean climate. The average temperature is 14.5 ° C, the winters are cold with frequent frosts and snowfall and the summers are hot. We help you organize your travel to Madrid by searching and selecting the best options to get to the island and to move in it.es opciones. 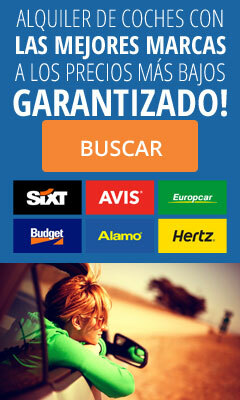 Madrid is a unique city in many aspects, so to rent a car we recommend ATRÀPALO, which in addition to looking for the best prices offer impeccable service. In this link you have the fuel prices updated daily by the Spanish Ministry of Industry, Energy and Tourism. Can you suggest some other things to do in Madrid?